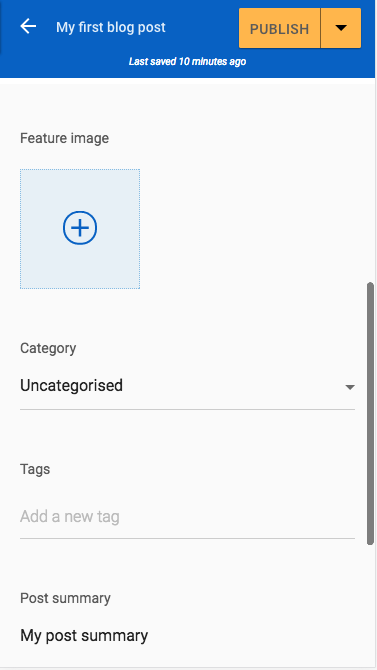 Here you'll find a list of your blog posts. 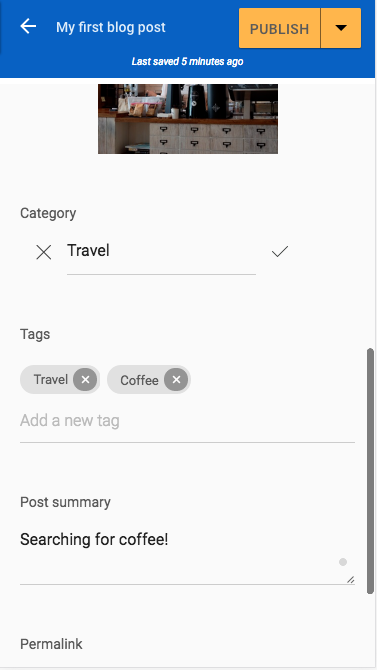 There will be a default post in your Drafts as an example. 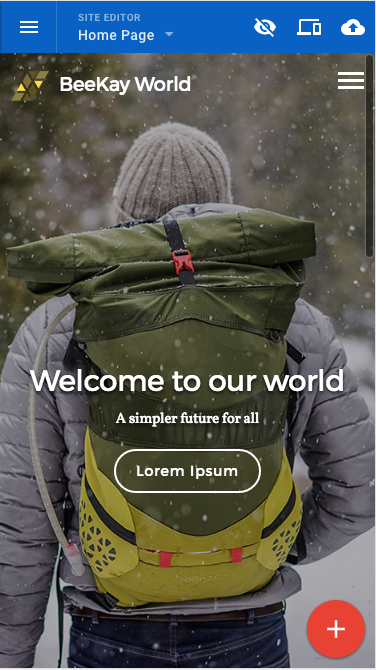 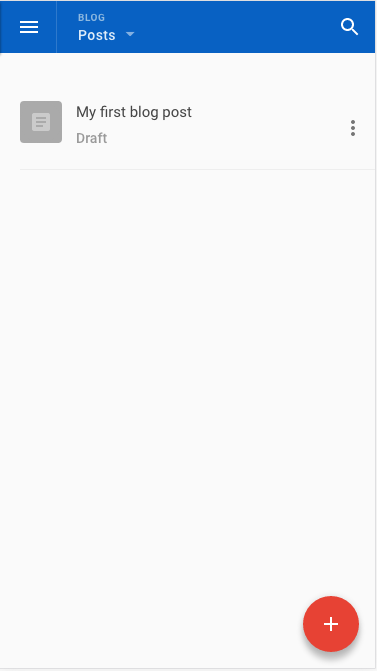 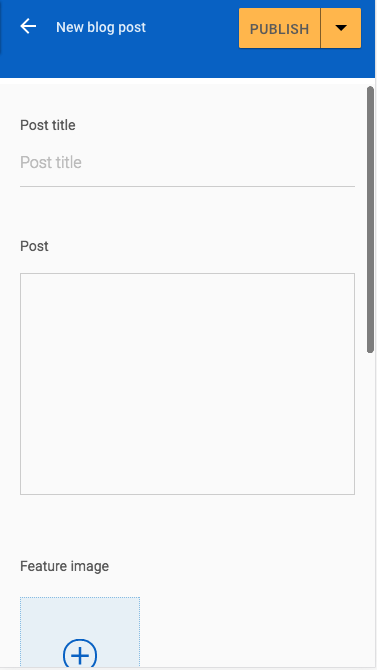 To create a new post, tap the + icon. 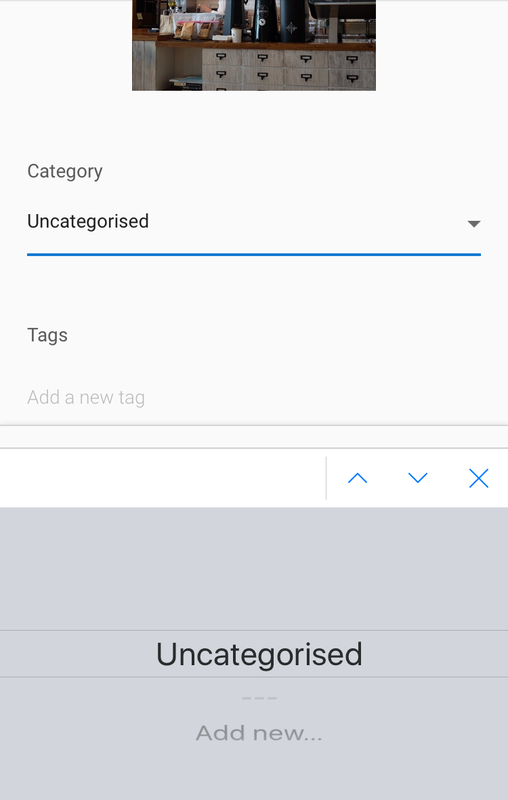 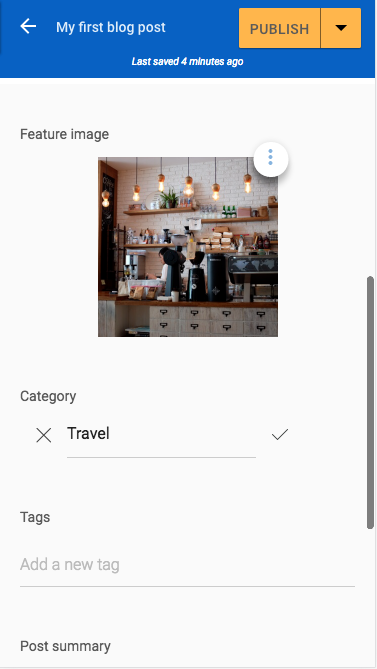 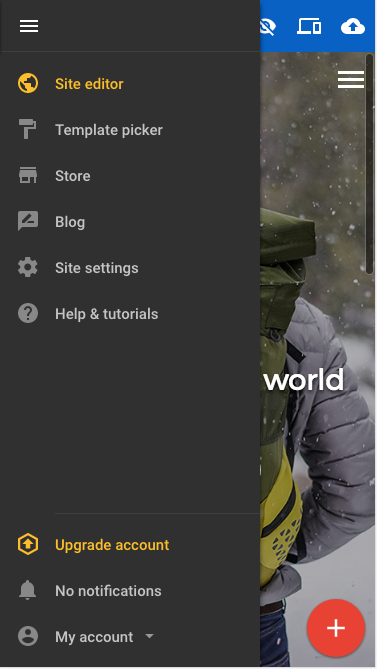 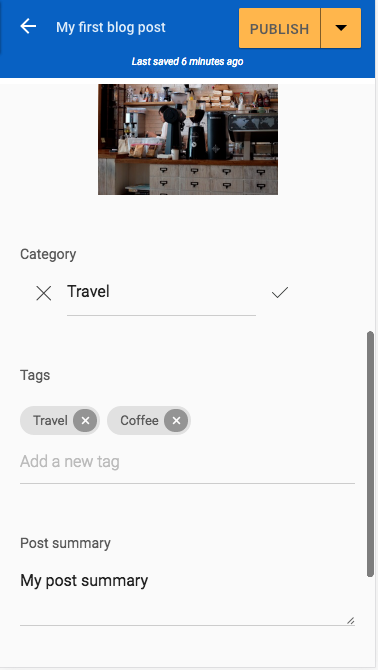 To add Tags to your blog post, tap into the field and type. 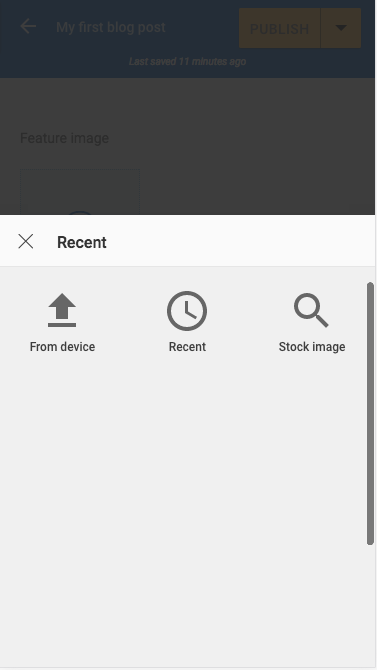 Tap Enter on your keyboard to save. 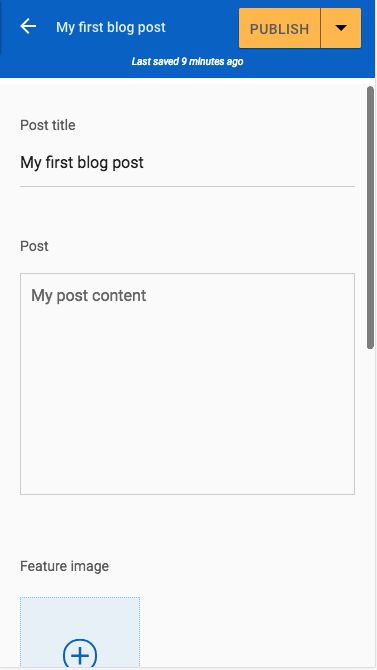 When your blog post is complete, tap Publish and the post will go live on your website. 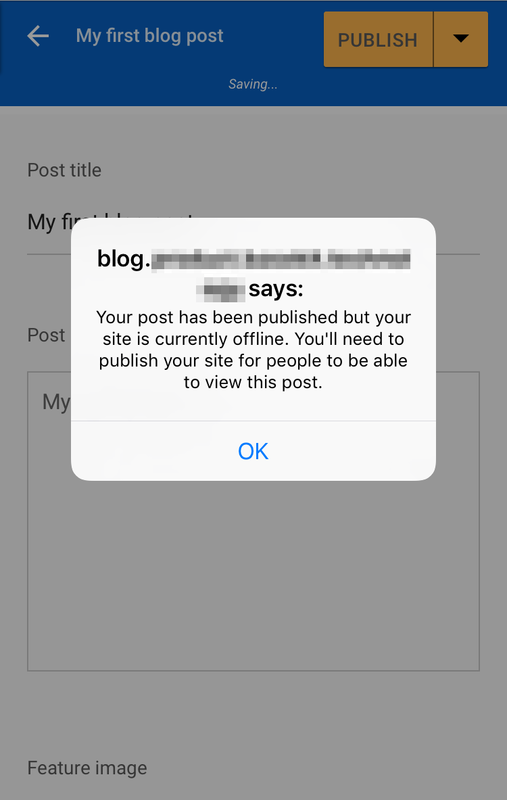 However, you are also able to save the post to your drafts to finish at a later date on any other device.